The Kurds are America’s most reliable allies in the fight against ISIS in Syria and Iraq, in a region whose other actors have shifting interests and loyalties. Michael Gunter provides a timely overview and places the Kurds’ role in its historical and geographical context. Kurdistan straddles the mountainous borders where Turkey, Iran, Iraq, and Syria converge. The 30 million or more Kurds famously constitute the largest nation in the world without its own independent state. The desire of many Kurds for independence, or at least cultural and political autonomy, has led to an almost continuous series of Kurdish revolts since the creation of the modern Middle Eastern state system by the Sykes-Picot Agreement during World War I left the Kurds without their own state. The states inhabited by Kurds, for their part, fear that Kurdish demands will threaten their territorial integrity. This book chronicles the Kurdish experience from the early 20th century to today’s conflicts with ISIS and the regional governments. 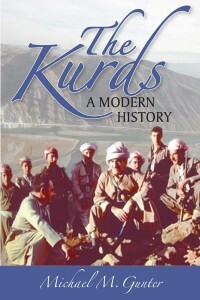 Calling upon more than 30 years of scholarship on Kurdistan, numerous trips to the region, and discussions with many leading Kurdish figures, Michael Gunter has written a thorough, well-documented, and highly readable history of the Kurds. Michael M. Gunter, of Tennessee Technical University, is the author of nine books on the Kurds, including Out of Nowhere: The Kurds of Syria in Peace and War. He received the Human Rights Watch’s Service to the Kurds Award in 1998.